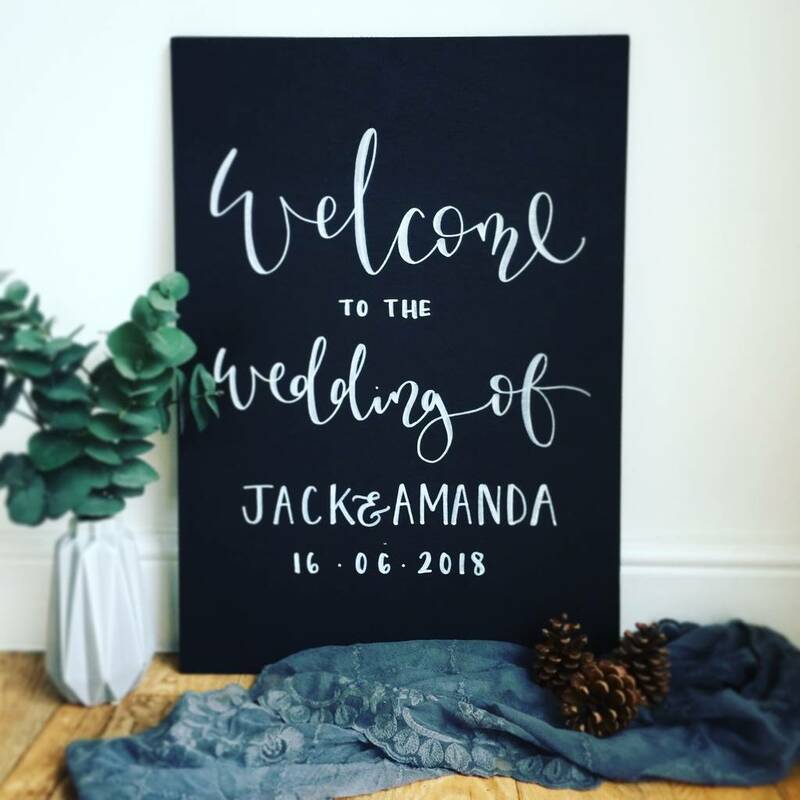 A Welcome sign for any wedding decorated with any style. Be it Classic, Vintage, Rustic or Eclectic. 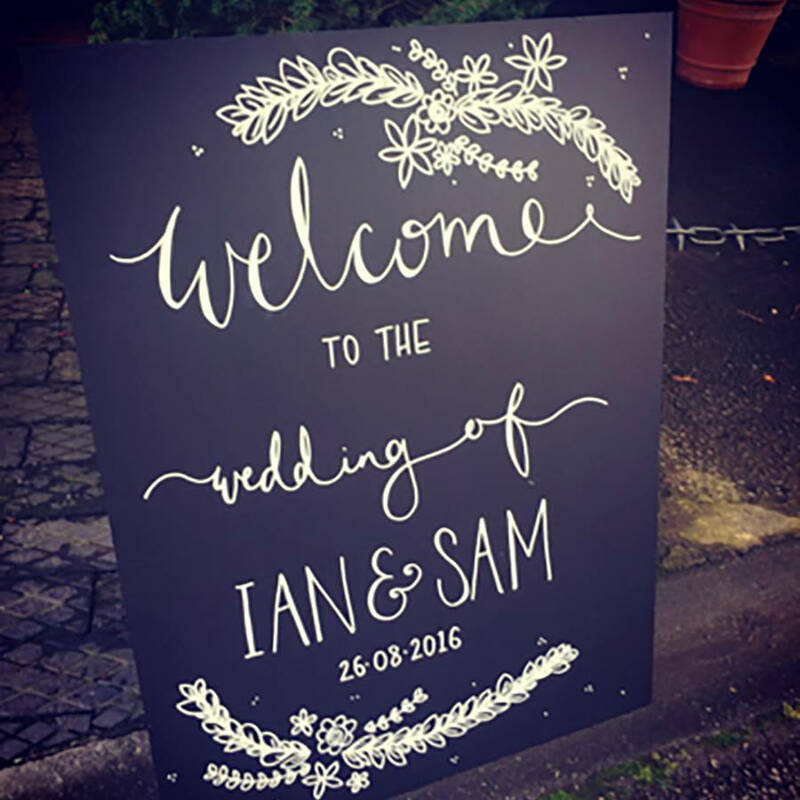 Welcome your guests with a personalised chalkboard ready product, one that can then become a keepsake of your day. 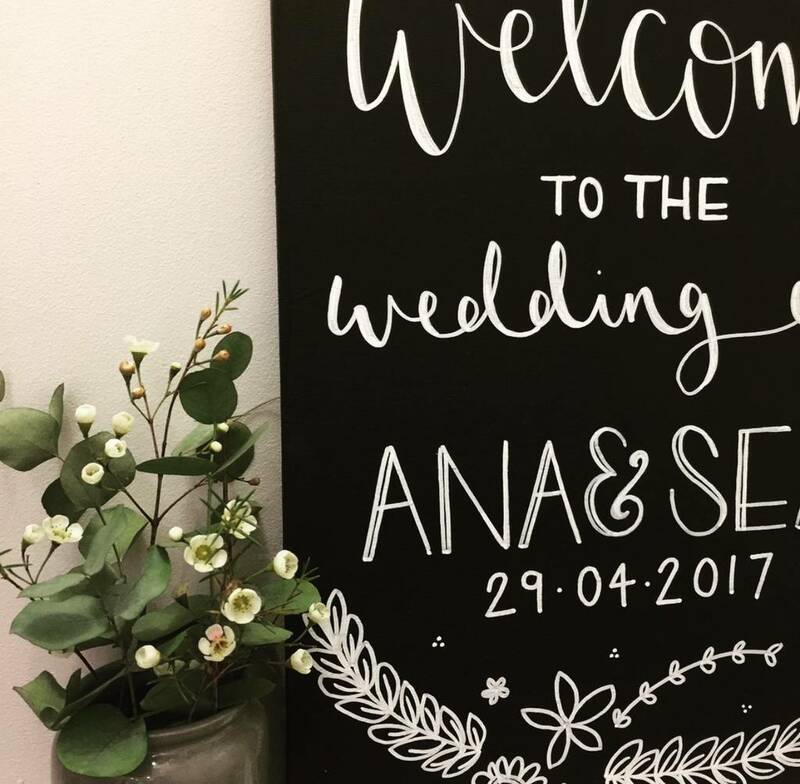 Each one differs slightly in the design, however can be adopted to your own personal choice or one that has your own design ideas included. It is always created to the highest of standards . 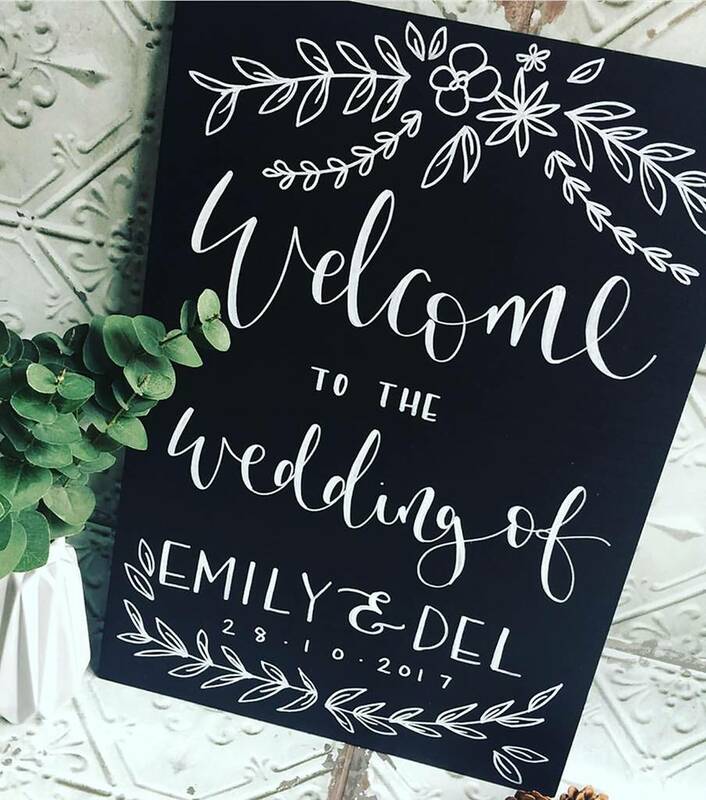 It is of a perfect size to sit on an easel or leant up against props at the entrance to your venue. 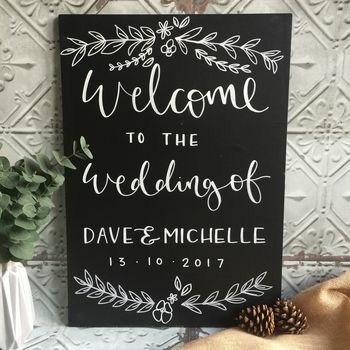 You can personalise with names and dates, if you would like anything else, any specific wording or design to fit with your theme, then please get in touch and I would be more than happy to help. European Beechwood Ply. FSC accredited. 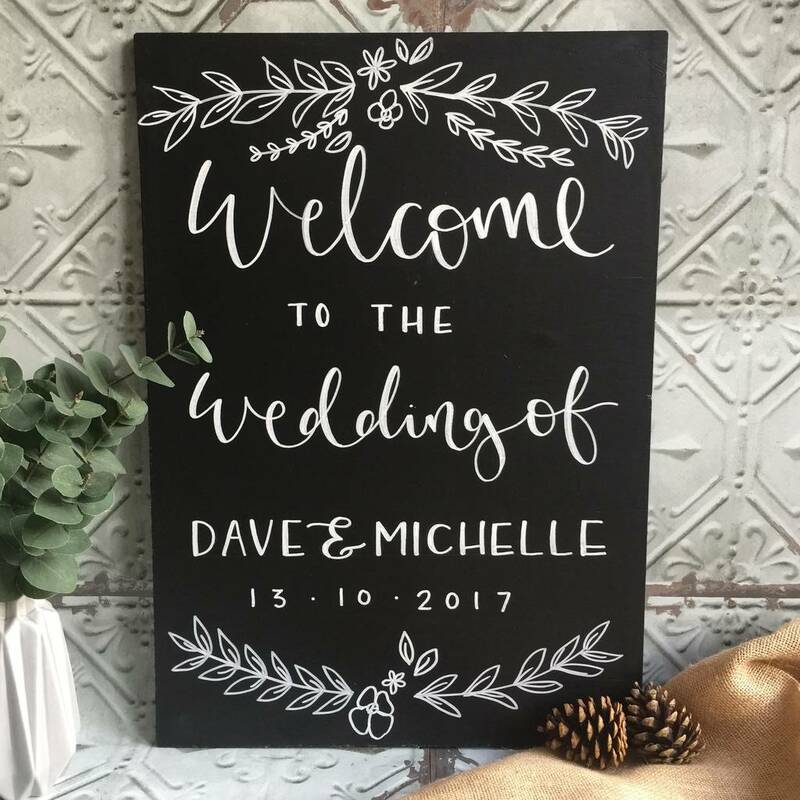 This product is dispatched to you by Mee and Es Designs.